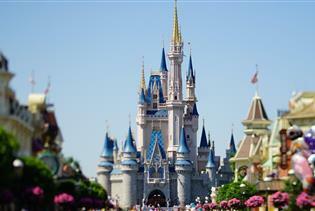 Discover your perfect Disney World Resort Vacation at better-than-gate prices. Select Attraction Adventure Island Tampa Andretti Indoor Karting & Games Boggy Creek Airboat Rides Chocolate Kingdom Factory Adventure Tour Clearwater Marine Aquarium Crayola Experience Dinosaur World Florida Disney World® Theme Parks Escapology Everglades Tour Exploration Tower at Port Canaveral Explorations V Children's Museum Forever Florida - Explore the Wild Fun Spot America Theme Parks Gatorland Gatorland Night Shine Tour Gatorland's Screamin' Gator Zip line with Free Gatorland Park Admission GatorWorld Parks of Florida Go Orlando® Multi-Attraction Card Horse Riding Orlando I-Drive NASCAR iFly Orlando Jet Skiing, Kayaks & Stand Up Paddleboard Rentals with Buena Vista Watersports Jungle Adventures Nature Park & Zoo Kennedy Space Center Visitor Complex LEGOLAND Florida Resort Machine Gun America Madame Tussauds Orlando Miami Seaquarium Orlando Balloon Rides Orlando Multi-Attraction Explorer Pass® Orlando Tree Trek Adventure Pirate's Cove Adventure Golf Pontoon Rentals Revolution Off-Road Mucky Duck Revolution Off-Road Target Archery Revolution Off-Road Trophy Bass Fishing Revolution Off-Road-ATV Off Road Experience Ripley's Believe It or Not! Orlando Odditorium SEA LIFE Orlando Aquarium SKELETONS: Museum of Osteology Suhls Rodeo Tampa Bay / St. Petersburg Speed Boat Adventure Tour Tandem Hang Gliding Flights The Florida Aquarium The Wheel Titanic ~ The Artifact Exhibition TreeUmph! Adventure Course - Bradenton Universal Orlando Resort Waterski, Wakeboard, & Tubing Charters with Buena Vista Watersports Wild Florida Airboats WonderWorks - Orlando Zoo Miami ZooTampa at Lowry Park!